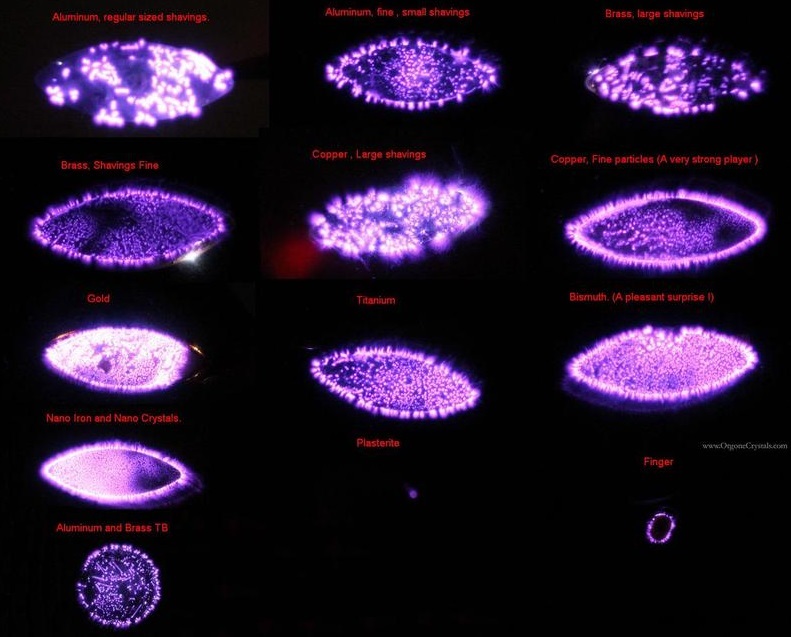 So what does this Kirlian Photo of Orgonite Mean? As you can see, gold orgonite has a powerful and bright aura, which is why I use gold in many of my pieces. However, most orgonite-makers will tell you that using mixed metals in orgonite provides a good result. Different metals also have different “feels”. Many people report that aluminium orgonite has a light, airy feeling, copper feels more grounding, and gold adds a lovely soft feeling to the orgonite. Truth to tell, there is no wrong or right when it comes to metals in orgonite. I find aluminium the best to use for pendants, since it is lighter than copper. However, I usually add in some brass since I have access to fine brass shavings (the size of the metals makes a difference – small shavings have a smaller “reach”, but are more effective in converting negative energy. For the best pendants, I mix small shavings with slightly larger ones to cover both reach and effectiveness). And for the ultimate pendant, the addition of gold flakes not only looks stunning, but adds a lovely feel to the pendant too! ORGONITE IS ONE KEY FOR SAVE THE WORLD!!! vilka stenar används till meditation i orgonit? You have a lovely page. Hi, thanks for your info. and beautiful jewelry.